I was trolling through the internet and saw these paper beads and how-to instructions at this blog. Doesn’t the idea make your mind spin, thinking of the possibilities? The instructions are simple and easy-to-follow. 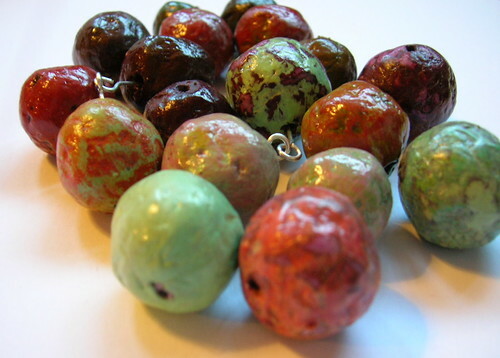 Be sure to read the suggestion-filled comments for more bead ideas and other uses of the paper mixture. This entry was posted in Crafts, Other blogs and tagged paper crafts. Bookmark the permalink.